The Wesley Clover Foundation will take control of the Nepean National Equestrian Park with plans to build a multi-sport destination and maybe lure international show jumping events. A charity, an Ottawa billionaire and his daughter are joining forces to revitalize the aging Nepean National Equestrian Park with an eye to making the capital an international show jumping destination. The National Capital Commission has awarded the park's lease to the not-for-profit Wesley Clover Foundation after the City of Ottawa ended its lease after 25 years. 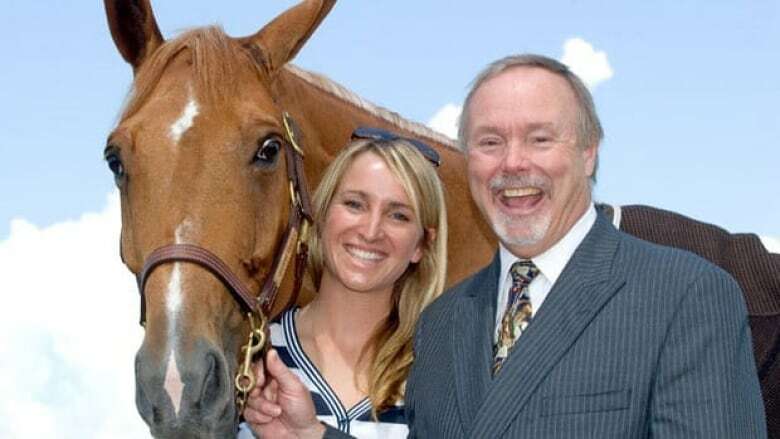 The foundation, associated with high-tech mogul Terry Matthews, plans to give the equestrian venue an extreme makeover by investing more than $20 million into the facility. Karen Sparks, a director at the Wesley Clover Foundation, executive director of the project, and daughter of Matthews, hopes the renovation will revitalize the equestrian sport community and attract newcomers. "It's a real passion project for me," said Sparks, who is also a competitive show jumper. "It's really cool for me to be able to focus on the equestrian side and really bolster that aspect, because it's really struggled in the past." Sparks hopes that a brand new grandstand and other amenities will attract the attention of the international riding community when it opens next year. "We're really hoping for 2014 to have the launch of an international show jumping show, two weeks here in Ottawa in August," Sparks said. Equestrian sports will be the focus of the facility that will be re-branded Greenbelt Stable, but the multi-million-dollar upgrade also includes a summer sports field, outdoor skating rink and will accommodate trail hiking in the summer and cross country skiing in the winter. "Even if you want to come pet a horse or go for a trail ride, it's all going to be there," said Sparks. "It also offers a preschool in the camping area that will help children get closer to nature," he said. While the city ended its lease because it no longer wanted to be in the business of running an equestrian facility, Kanata North councillor Marianne Wilkinson is confident that the new leaseholder's plans to create a multi-purpose venue will have a positive impact. "Terry Matthews is a business man. He wants to develop this so that it covers its own cost," said Wilkinson. "He's not looking to make a profit on it. So he's putting things in place there that will bring in enough revenue to keep the equestrian centre going so the other groups."